It seems almost every customer I speak to has a horsebox horror story ranging from customer care issues to outright dangerous manufacturing. 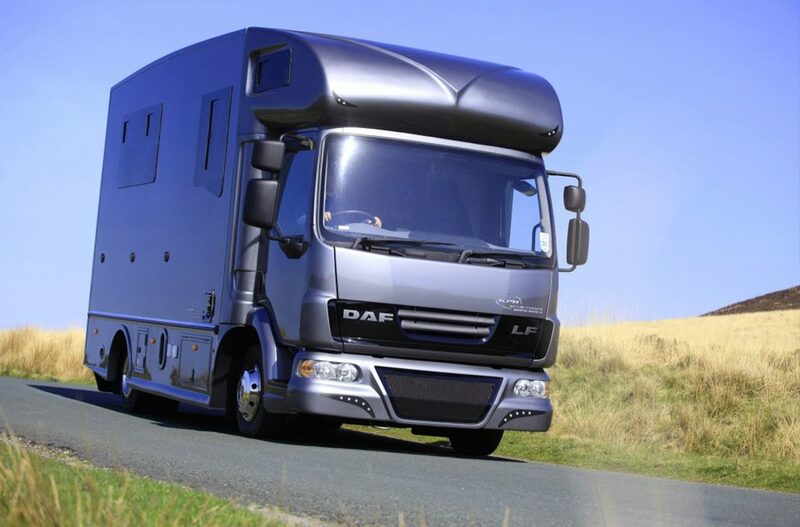 As a conscientious horsebox manufacturer with decades of inside knowledge of this industry, it is difficult to place myself in the position of a new customer who has decided to buy a horsebox and try to understand what they actually need to see and know. On a weekly basis I talk to my customers and there seems to be plenty contradictory information out there. Many customers almost need to become experts to buy a horsebox with any confidence. To help customers make a more informed choice I have made a short list of questions to address and listed a few of the many pitfalls. I would add that I have included a little of how we do things …and why not because we do it right and we are proud of our horseboxes! 1. Who actually builds the horsebox? There is little to no policing of websites, so you cannot take statements or facts at face value. Many horsebox websites are purely sales driven and play on customers’ genuine fears for horse safety; they state a fact and provide no corroborating evidence. In reality many offer gimmicks or items that are reactive, addressing only the aftermath of serious incidents. As an example, how many adverts show collapsible breast bars with large lockers directly underneath? Surely customers would prefer a preventative horsebox design. For example, one that stops a horse climbing up onto a breast bar, rather than a collapsible breast bar for an accident that has already happened! Without doubt payload is the single biggest issue with horseboxes today. It is far easier and cheaper to cut corners than to manufacture a stronger, lighter product that actually costs more to build. Probably the most popular sales hook to draw customers in is ‘weight certificate provided’ and in truth this statement could be meaningless unless they are willing to post the actual payload. It could be a 7.5 tonne horsebox for sale with only a half tonne payload! Even when payloads are posted customers need to be aware of the tricks that are used to weigh horseboxes. At our local weighbridge I have witnessed horseboxes weighed with no horse partitions inside or no rear doors fitted! To be totally transparent I invested in onsite weighing facilities. Our team can weigh vehicles or vehicles with horses and tack onboard with the customer present. Way back at the conception of KPH the industry was flooded with overweight horseboxes. With an eye firmly on the future of safer horse transport I introduced lightweight horseboxes with weight certificates as well as gas, 12/24 volt and 230 volt test certificates. 4. Ask for regular images of the manufacturing process. Looking back over the past three decades, the move towards digital media has changed the marketplace considerably. The advent of the first digital cameras allowed us to send images to customers regularly throughout the build process so they could see the progress and the care we take with their horsebox. For KPH good quality images take our customers on the horsebox build journey with us! We give a start date and an estimated finish date and we do try to stick to these. Of course it is hard to plan for illness or backed up MOT or IVA test dates, however customers can always see where their build is up to. 5. Copied content on websites. In this age of digital media it is so easy to copy and paste website content including lists and images. A new website can pop up within a few hours and it will look like it has been there for years. On one occasion our old website was copied in its entirety with our images and only our manufacturer’s name had been changed. They had even kept the image of our staff! Very hard to spot unless you are in the industry, so my best advice here is ask questions on the forums and do plenty of in depth research. 6. Visit the manufacturer and ask for a tour. A visit and chat with the Company will identify whether or not they meet with your criteria. A walk around the factory will confirm whether or not the Company builds on site and to a standard they are happy to show you and that you are happy with. We invite every customer to view our workshops; we even have a viewing window in the sprayshop so customers can see a horsebox being sprayed. We firmly believe the cleanliness of the workshops tells our customers a lot about us! It is very easy to see shiny paint and almost make an instant decision. In reality it is almost the last thing to consider. I would advise a close inspection underneath for paint and build quality and this will determine the longevity of the horsebox and ultimately its resale value. 8. Don’t buy something if you are making compromises. Rushing into a purchase because you need something now almost never works. Living with any compromise can be a nightmare. From the wrong colour to a tack locker in the wrong place it almost guarantees you will swap it sooner rather than later. We manufacture bespoke horseboxes to fit our customers exactly. It is one reason our customers keep them a very long time! Is it painted onsite by the manufacturer as it was built or was it fully finished then taken off site and sprayed for a price? This is a pertinent question, especially if you intend to keep the horsebox more than the initial warranty period. No one in their right mind would buy a car fully built up and then send it away for painting! …and I post images of our paint magic at every stage of the builds weekly, it’s the most exciting part! If there is any conclusion to the blog, it would have to be that customers cannot be too careful, they should be very cautious and challenge every statement, research carefully, ask for proof of statements and even ask questions on the forums.